Meet with a board certified Columbus divorce attorney today. Hire our firm and benefit from the support of a team who truly cares. We’ll help you make the best decisions during and after your divorce. Grossman Law Offices is the kind of high-caliber firm you need on your side if you need legal assistance with a family law issue. Our Columbus divorce lawyers have more than 40 years of experience in the practice of family law and handle cases throughout the state of Ohio. Our firm takes on a wide range of complex family law matters, including those involving divorce, child custody, legal separation, and property division, just to name a few. We can help you get through this difficult time while ensuring that your rights and interests remain safeguarded.  Two of our attorneys are Board Certified Family Relations Law specialists by the Ohio State Bar Association. This certification, which has only been achieved by a handful of lawyers, classifies our attorneys as true experts of the field. We are proud to count on our attorneys’ well-versed legal insight, which allows us to deliver legal services that are reliable and results-driven. Highly skilled in negotiation and litigation, we possess the skills that can be utilized inside or outside of court on your behalf, depending on the direction your case takes. Our team faithfully holds ourselves to the same set of core values established when we began our practice in 1972, and we have been perfecting these standards ever since. Backed by more than 40 years of experience, we proudly offer our clients creative strategies, smart tactics, and effective representation for family law cases of every nature. I really believe we have the best group of lawyers working together in this field than anybody, anywhere. I don't think anybody matches us in terms of performance, compassion, talent, and just plain caring about who we represent and why we represent them. It's a quality group of people. The people who are here, make a career out of being here and that comes from knowing that they can trust each other.